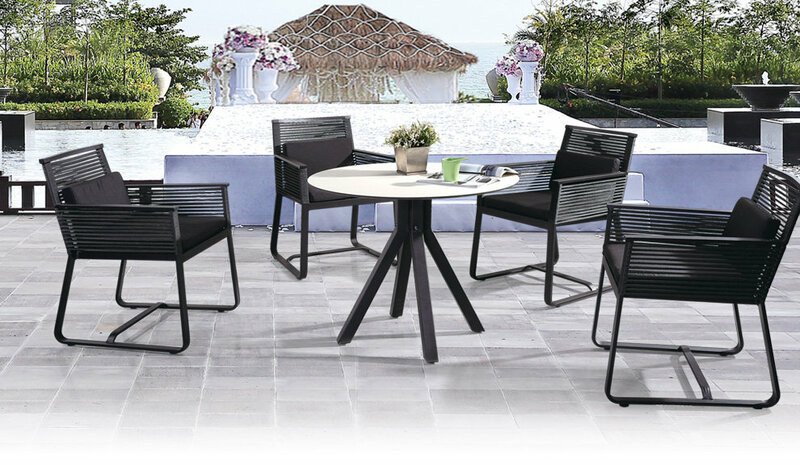 HAOYUAN Outdoor furniture Co.,Ltd. founded on 2001,based in FOSHAN, the capital of furniture manufacturing ,focused on outdoor furniture design, manufacturing and marketing, dedicate to offer customer states of art products with competitive price and fast delivery, in the past 10 years we are keeping innovation on designing, improving production procedures, upgrading company’s management system, now we have becoming the leading outdoor factory in China covers an area of more than 10000 production plant with over 200 well trained staffs which guaranteeing stable lead times - also for large scale orders. As a company pioneering in innovation, we constantly design and develop new design concepts, ideas and eventually state of the art products. With a strong background in OEM manufacturing we use our experience to convert our customer’s requests into high quality products at very reasonable prices. Efficient production planning allows us to pass on cost advantages to all our customers. our product with unique north America & European styles, It is the combination of art and taste, their appearances boast elegant, fashionable and graceful, making your hotel, restaurant, family's gardens, villas and recreational places more charming and fashionable. Fair pricing, quick and competent communication and the understanding of our customers needs create long lasting benefits for our current and future customers. Our dynamic culture and international experience make HAOYUAN become your reliable partner for a successful long-term partnership. Name: Haoyuan Outdoor furniture Co.,Ltd.